HOUSTON – Colon polyps from patients with Lynch syndrome, a hereditary condition that raises colorectal cancer risk, display immune system activation well before cancer development, according to research from The University of Texas MD Anderson Cancer Center. The preclinical research challenges traditional models of cancer immune activation and suggests immunotherapy may be useful for colorectal cancer prevention in certain high-risk groups. 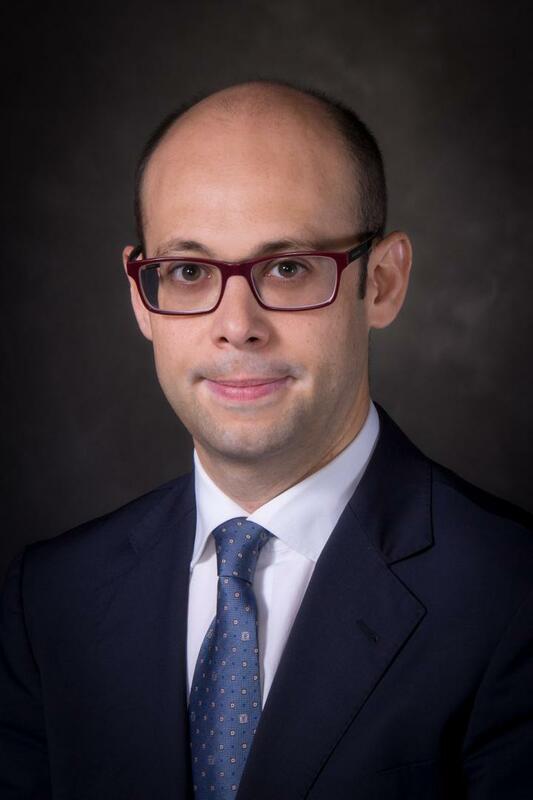 "Our question was how this worked in premalignancy," said senior author Eduardo Vilar-Sanchez, M.D., Ph.D., assistant professor of Clinical Cancer Prevention and Gastrointestinal (GI) Medical Oncology. "Can we apply checkpoint inhibitors or checkpoint inhibitor strategies to prevent MMR-deficient colorectal cancer?" Lynch syndrome (LS), which is caused by inherited mutations in MMR, provides the perfect context in which to study early immune activation and explore the potential use of checkpoint inhibitors in a prevention setting, explained Vilar-Sanchez. Over 1 million people in the U.S. are affected by LS, the most common hereditary colorectal cancer syndrome. In the study, the researchers analyzed gene expression to characterize the immune profile in 11 polyps and three early-stage tumors from 14 patients with LS. As a control, the researchers also analyzed 17 polyps from patients with Familial Adenomatous Polyposis (FAP), a hereditary colorectal cancer syndrome which does not exhibit MMR deficiencies. The resulting profiles revealed increased expression of several markers of immune activation, including CD4 T-cells, proinflammatory molecules and checkpoint molecules, such as PD-L1 and LAG-3, in LS polyps compared to FAP polyps. However, contrary to traditional models of immune activation, the observed immune profiles were independent of the rate of mutations or neoantigens present in the sample. "To our surprise, our findings don't follow the standard model. The majority of premalignant lesions do not have an excessive increase in mutations or neoantigens," said Vilar-Sanchez. "However, we observed there is already immune activation, meaning the activation precedes the development of the mutations." "Lynch syndrome patients have a strong immune activation in the colon, and that immune activation can be exploited for preventive purposes," said Vilar-Sanchez. "I think our data provide the information needed to launch studies to use checkpoint inhibition in the setting of prevention." This study was supported, in part, by the Colorectal Cancer Moon Shot™, part of MD Anderson's Moon Shots Program™, a collaborative effort to accelerate the development of scientific discoveries into clinical advances that save patients' lives. The Moon Shot provides valuable funding support for high-risk, high-reward projects, such as this, and propels research toward delivering clinical impact, said Vilar-Sanchez. This work also was supported by the National Cancer Institute (R21 CA208461, R01 CA219463, R25T CA057730, P30 CA016672, K12 CA088084), a gift from the Feinberg Foundation, and The V Foundation For Cancer Research Scholar Grant. In addition to Vilar-Sanchez, MD Anderson authors include: Kyle Chang, Laura Reyes-Uribe, M.D., Ester Borras, Ph.D., Erick Riquelme, Ph.D., Reagan Barnett, Ph.D., and Ernest Hawk, M.D., all of Clinical Cancer Prevention; Melissa Taggart, M.D., Pathology; F. Anthony San Lucas, Ph.D., Epidemiology; Nancy You, M.D., Surgical Oncology; Jason Roszik, Ph.D., Melanoma Medical Oncology and Genomic Medicine; Paul Scheet, Ph.D., Epidemiology; Scott Kopetz, M.D., Ph.D., GI Medical Oncology; Patrick Lynch, M.D., J.D, Gastroenterology; and Florencia McAllister, M.D., Clinical Cancer Prevention and GI Medical Oncology. Additional authors include: Guido Leoni, Ph.D., and Maria Catanese, Ph.D., Nouscom SRL, Rome; Federica Mori, ReiThera SRL, Rome; Maria G. Diodoro, M.D., Regina Elena National Cancer Institute, Rome; and Alfred Nicosia, Ph.D., of Nouscom SRL, Rome, CEINGE and University of Naple Federico II, Naples, Italy.